Tore Halvorsen is senior vice president, global subsea production systems for FMC Technologies. 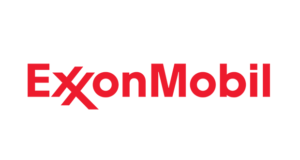 DC: What do you see as some of the issues and challenges the oil and gas industry is facing presently and in the future? Halvorsen: There are three main areas where the industry is facing challenges in 2010 and onwards. The biggest challenge now is the economics necessary to develop new fields. 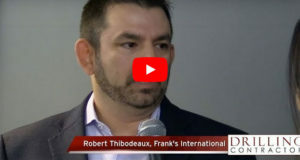 The cost of development is very much on all operators’ minds these days, and they are willing to look at new ways of developing fields and the use of new technology to drive down the cost of these fields. There are many marginal fields to be developed, particularly in the near term, so the focus is on cost. The second area is that many fields are starting to mature, and an increasing number of these fields are subsea. The issues many operators are facing include: How do we ensure proper recovery from these fields? How do we deal with cost-efficient well interventions, pressure boosting, increased reservoir drainage points, field upgrades and so on? Green field developments and brown field developments will more or less blend together as there will be a number of developments tied back to existing fields. This is where a lot of potential resources are. Thirdly, these fields are getting more and more challenging to develop. We are looking at higher pressures, higher temperatures; deeper waters; longer-distance tiebacks; heavy oil; low-temperature and low-pressure fields; very corrosive environments; and, somewhere in the future, we are also talking about offshore developments in the Arctic areas. DC: How can the industry meet these formidable challenges? 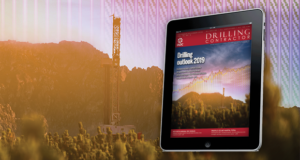 FMC Technologies and Statoil have developed the through tubing rotary drilling (TTRD) system, where sidetracks in existing wells can be performed through a 7-in. riser with the subsea tree and the whole completion in place. Halvorsen: We have to fix the shorter-term issues first. Specifically, how do we more economically develop these fields? How do we deal with mature fields? Then we can move over to the longer-term challenges. How do we get from where we are today to a lower-cost method of developing these fields, which also will apply later to the challenging fields? It is in all of our interests that new fields are being sanctioned and kicked off. This is not about squeezing margin for the contractors; it’s all about avoidance of cost. From a subsea contractor point of view, the earlier that we are involved, the easier we can influence cost in the development phase. Through more acceptance of contractor standards, we don’t have to reinvent every time we have a new customer or new field. And the full focus on installed cost rather than individual package cost. Some operators are getting close to this type of thinking. Others are not as advanced. On the marine drilling side, use drilling rigs for drilling only. Stop the use of expensive drilling rigs for simple installations like running 40-ton trees down to the seabed and for well testing. 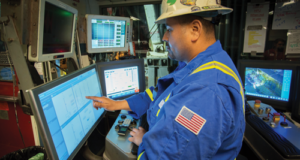 Many of the tasks that we are using drilling rigs for today – such as setting conductors, installing trees, well cleanup and so on – can be transferred to lower-cost vessels. 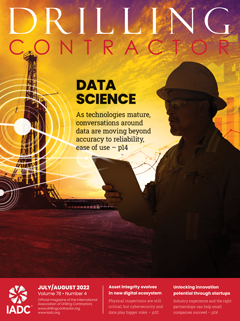 Finally, on the cost area, ensure that we have an efficient interface between operators and contractors. There is clearly a lot of room for improvement in here. The traditional answer to obtain lower cost is to increase competition and maintain the current way of thinking. This time, I think the industry has to approach it a bit differently and collaborate the cost elements away. DC: How would the industry handle the challenge of mature fields? Halvorsen: If you are referring to subsea fields, we are still talking about a recovery rate of about 10% to 20% lower than from a platform-based field, where you have access to the wells from the platform all of the time. In this whole area of increased recovery, we are taking a lot of initiatives to close this gap between subsea fields and platform-based fields. First, we have the passive method of production optimization, optimum drainage and improved instrumentation of subsea fields. Active interventions are another way to address the challenge of mature fields. 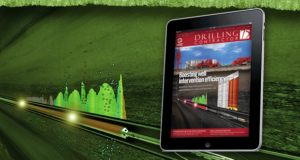 The lowest-cost well intervention is obviously done without use of the drilling rig. The light well intervention systems that are deployed from smaller monohull vessels have definitely come to stay. We see results from the North Sea these days with both Statoil and BP, and I am convinced this will be a more acceptable method of doing the lower end of well intervention work, which is required to achieve higher production performance. 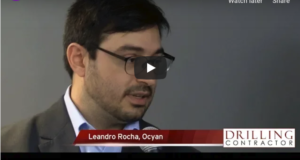 DC: Is light well intervention expanding globally? Halvorsen: We are seeing a growing number of requests for quotations in the Gulf of Mexico, Asia Pacific, West Africa and Brazil. There is no doubt that light well intervention will expand to be a global business. The other segment of growing interest is a segment between the light well intervention and full drilling services. 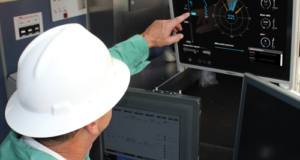 FMC has developed a system together with Statoil called TTRD (through tubing rotary drilling), where sidetracks in existing wells can be performed through a 7-in. riser. A sidetrack can be drilled in a well with the subsea tree and the whole completion in place. You don’t have to kill the well, pull the completion, put down the BOP and then perform a sidetrack. It’s a very efficient way of establishing new reservoir drainage points. We have done one season now from a small semisubmersible, and the results have been extremely good. The cost efficiency is very, very good. Through the TTRD technology, the upper section of the well can be re-used, and a sidetrack can be established into the portion of the reservoir that you are looking for. The distance drilled to reach a penetration point is significantly less than if you had to start with a completely new well. That is the main benefit. DC: What else can the industry do to economically continue producing mature fields? Halvorsen: The challenge of mature fields is they often have problems like pressure declines, increased water production, and so on. There are fields today that are producing 95% to 98% water, and it is still economic to let them run. 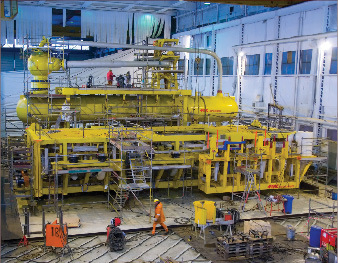 This is where subsea processing comes in, either by boosting the pressure and thereby reducing the backpressure on the reservoir, or adding separation and boosting in order to increase processed handling capacity. The whole area of subsea processing is very much linked to mature fields. This is an area where we will see a lot more activity as we move forward. This is also a technology that will be essential for challenging long-distance fields. 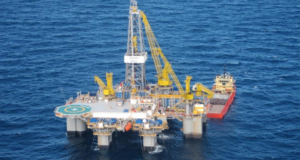 I think you will see a new focus in 2010 and onwards on subsea processing and mature fields simply because the industry is running out of profitable and large new fields. Going deeper into the formations, you will obviously encounter higher pressure. In mature areas like the Gulf of Mexico, for example, 15,000-psi is very much a fully accepted standard for developing these systems. 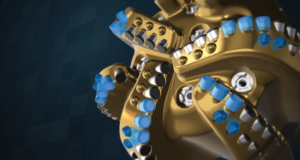 We just released the industry’s first 20,000-psi subsea wellhead system, and we are starting to see appliances within the 22,500-psi area. We have demonstrated over time that we are able to deal with these increased temperature and pressure conditions. Obviously they will be more challenging, particularly on the temperature side, as we go forward. 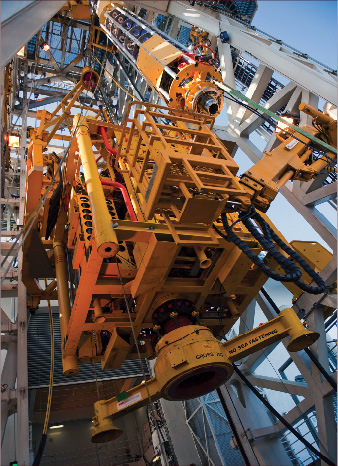 FMC’s subsea separation system for Statoil’s Tordis field in the North Sea was the industry’s first. 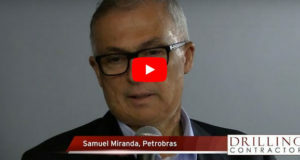 The company also is working on subsea separation projects for Total’s Pazflor field, Shell’s BC-10 and Perdido projects, and Petrobras’ Marlim fields. DC: Is the time coming when the industry requests a 25,000-psi system? Halvorsen: If you look at the map of offshore discoveries, you see that a certain amount of discoveries are already over the 20,000-psi mark. Operators will develop as much as they can before they move up to the next pressure level, but it is clear to me that we will have to have a program that goes up to 25,000 and maybe beyond. 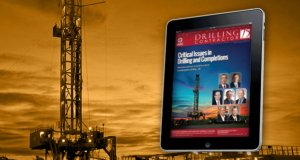 DC: Are there constraints on the rig to drilling an ultra-high pressure well? Halvorsen: Elements like valves, connectors, risers and so on will have to be developed. I don’t really see the pressure as too much of a problem, as this is basically a mechanical design and qualification issue. The high temperature normally represents a bigger challenge, as we will have to develop and qualify new materials for these applications. 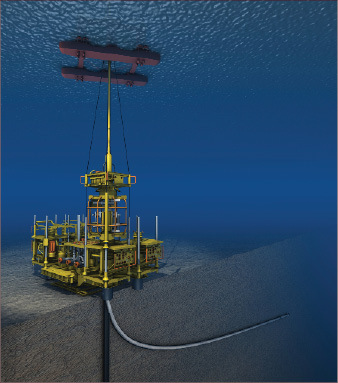 There is no 20,000-psi subsea completion equipment available today. It is on the design board as we speak. There are no fields to be developed in that category either within the near term. However, it will come, and we have to prepare for it. DC: You mentioned long-distance tiebacks earlier. What are some of the issues and challenges there, and what are some of the solutions? Halvorsen: Long-distance tiebacks present many challenges, such as flow assurance, hydrate management and pressure declines, to mention a few. Here we will see a combination of subsea separation, gas removal and water removal to control hydrates, and boosting to help overcome the pressure drop in the flowline. Today, the longest tieback is in the 160-km range in the Snohvit field in the North Sea. The bravest operators are targeting tiebacks of up to 600 km for gas fields and up to 200 km for oil fields. In order to achieve these targets, we will have to master a combination of technologies like hydrates and boosting, long-distance transfer of electrical power, improved condition monitoring of rotating equipment, and so on. Through what we are doing today on subsea processing and boosting, we can gradually transfer over to the long-distance tiebacks when they are needed. DC: You also mentioned Arctic condition developments. Halvorsen: In the future we will have to master the challenge of developing fields in the Arctic area. Although this concept is not fully established yet, I am 100% certain it will involve subsea, long distance and all of the above. Even though this is not for tomorrow, we will have to master development of fields located under ice because that is where a significant amount of remaining gas reserves are located. A lot of what we are doing today to master what you could call difficult areas or mature fields can be applied later on long-distance tieback or arctic development. So, in a way, we are building up to do more challenging fields through the technology we are qualifying and developing now. We have a lot of interesting challenges ahead of us, and we have a large number of good initiatives in place to meet these challenges. It is not a single contractor’s issue to deal with these challenges. 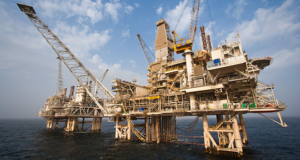 This will require a close cooperation between many partners, including drilling contractors. I think the drilling segment will more and more be an integral part of the solution here since the drilling is going to be such a dominating part of the cost picture as well. Light well intervention systems that are deployed from smaller monohull vessels continue to gain traction in the industry. What we have discussed in the above are very much in the core of what future technology is going to be. If you ask me what the longer-term expectations are for subsea production, there are two visions from my side. The first is that one day we are able to produce from a subsea field directly to the market. No offshore facility, no onshore facility, but instead, directly to the market. The produced fluid is separated on the seabed to obtain export quality. In other words, all process-related platform functions are located and performed on the seabed. Vision number two is that subsea fields will yield a recovery rate in the same range as platform-based fields. This will require advances within drilling, production monitoring, well intervention and seabed processing.